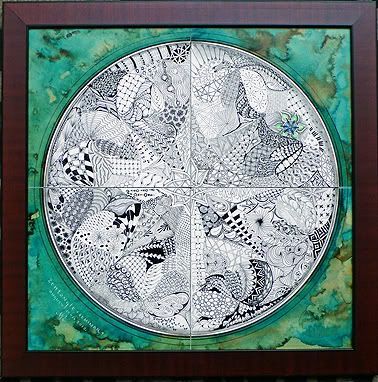 We are just getting back to a more regular routine after our recent Certified Zentangle Teacher seminar. 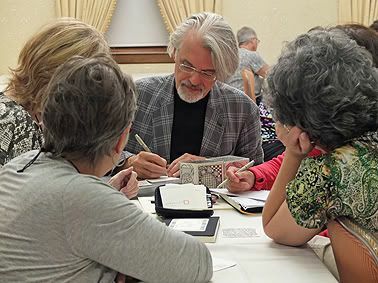 We want to welcome and introduce you to these wonderful people and share some of the beautiful Zentangle inspired creations, events and ideas that we experienced. We've created a companion blog for this newsletter so you can see full size versions of these small pictures and also other pictures that aren't here. 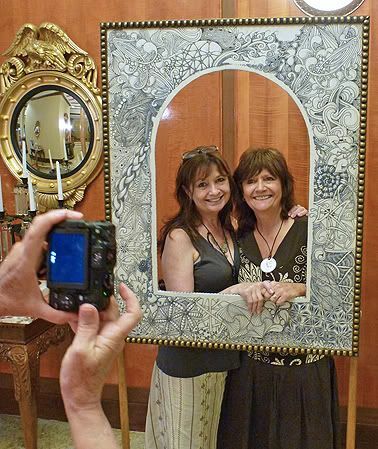 Please welcome the August 2012, ninth seminar Certified Zentangle Teachers! In this picture are people from 32 US states and five countries (Australia, Canada, England, India, and The Netherlands)! A new friend joined us for supper Sunday night on the first night of seminar and saw everyone talking in the dining room. It was a loud, passionate and convivial scene. "Wow, how long have these people known each other?" she exclaimed. "The just met," we replied. 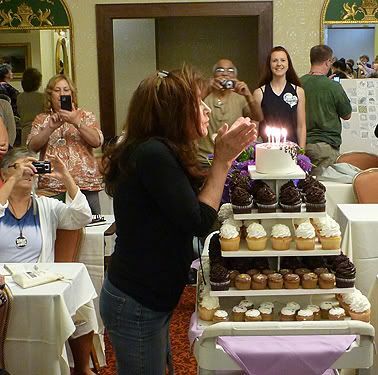 The Hotel Providence staff, who host many corporate and private events, told us that not only do people at our seminars act more like a team than any corporate group or club they see, but they act more like a family than most families they host! 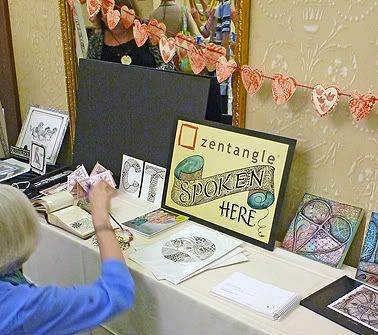 We are thrilled that Zentangle attracts such wonderful people who share a common thread (string?) of passion, gratitude and creativity; and a desire to share it with others. Here is an ever-so-small sampling of some of the amazing images shared in our recent seminar. 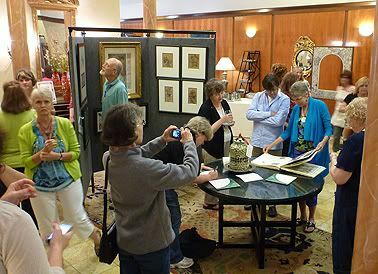 We set up a gallery in the lobby . . .
. . . and in the classroom. That heart bunting (above) was created by a new CZT for her wedding. She and her soon-to-be husband travelled from the UK and made their trip a honeymoon-in-advance! During seminar, there are so many special moments of inspiration and insight. Here are just a few. Above: During seminar, some attendees volunteer to speak and demonstrate. Terry "TJ" Johnmartin from Texas is fluent in American Sign Language (ASL). She taught everyone a new tangle using only ASL. Everyone understood. 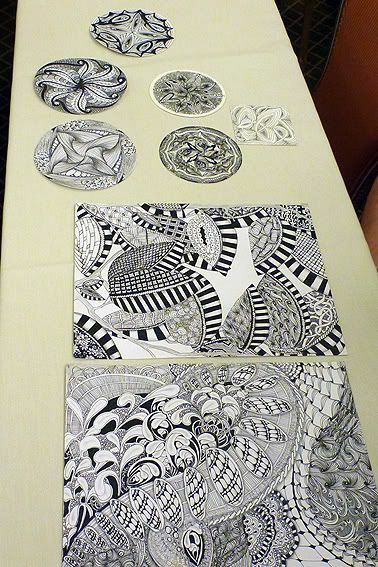 It was a moving, practical example of the universality of the Zentangle Method. Above: We created a tangled frame for photos. 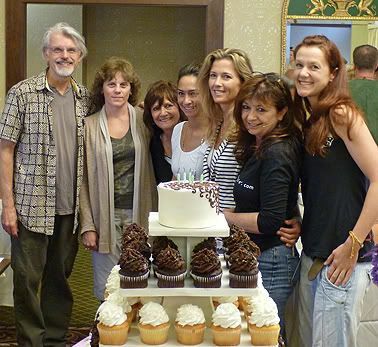 That's Maria's sister, Sue, on the right. Above: At break, everyone arranges their tiles in a mosaic. Above: Folks tangle the back of their name tags. Here are a few of them drying outside after a coat of varnish. Check out the larger image of these on the blog! 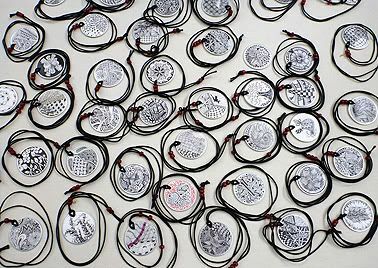 Above: A group Zendala that everyone tangled. August 15 was the last day of seminar. It was also Maria's birthday. 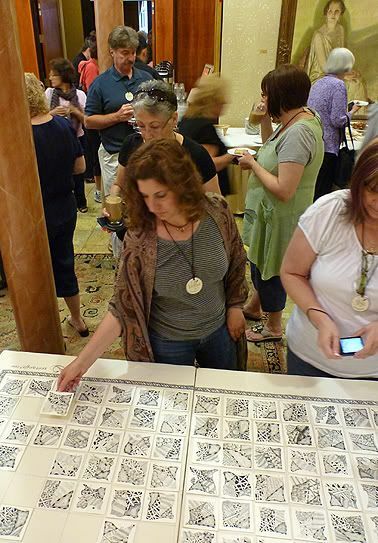 Everyone decided to create a Zentangle tile with assunta, a tangle that was released on Maria's birthday last year. (You can read about and learn it here.) We arranged the tiles in a large mosaic. While we're on this subject . . . 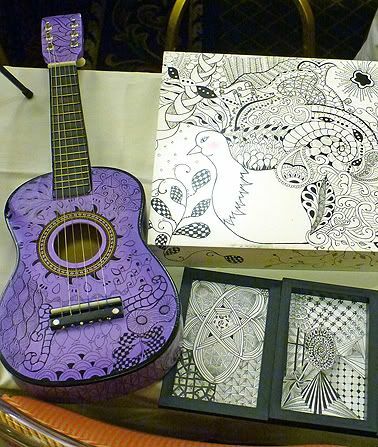 I'm a veteran paper-craft artist who has, very recently, discovered the wonderful world of Zentangle. I just wanted to drop you a line and tell you how grateful I am to be learning the art of Zentangle. I took my very first one-on-one class here in my studio last month with an instructor I found on your website. She is terrific. Her name is Jackie Anglin. 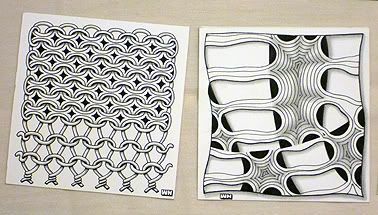 Well...let me tell ya, I took to Zentangle like a duck takes to water or a nuclear physicist takes to the study of quarks. I just love it! Thank you again, for bringing light to such a lovely art form. Hi. 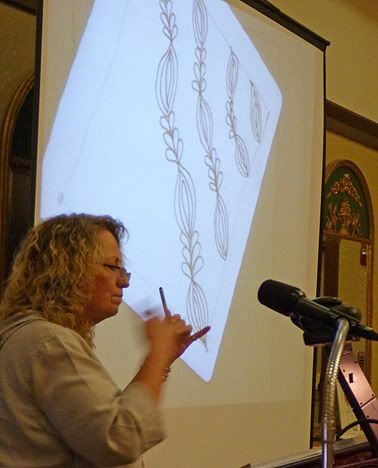 I forgot to mention that soon after I started tangling I attended two class sessions with CZT Mary Masi in Sarasota, FL. The time I spent with her was fantastic; I learned so much! Stop by this blog entry to see more pictures and enlargements of these photos from Seminar IX. 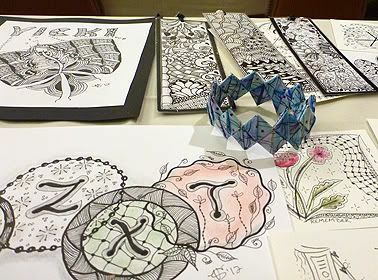 And most importantly, contact a CZT to find or arrange for a Zentangle workshop, or even better, a series of workshops. 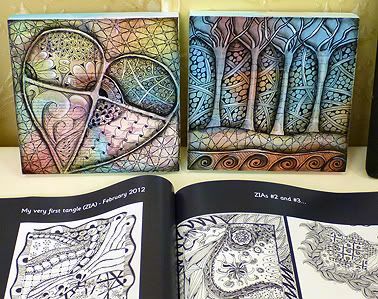 There's so much more to Zentangle than you might think at first. Please contact a CZT to discover the magic of practicing the Zentangle method on a regular basis.